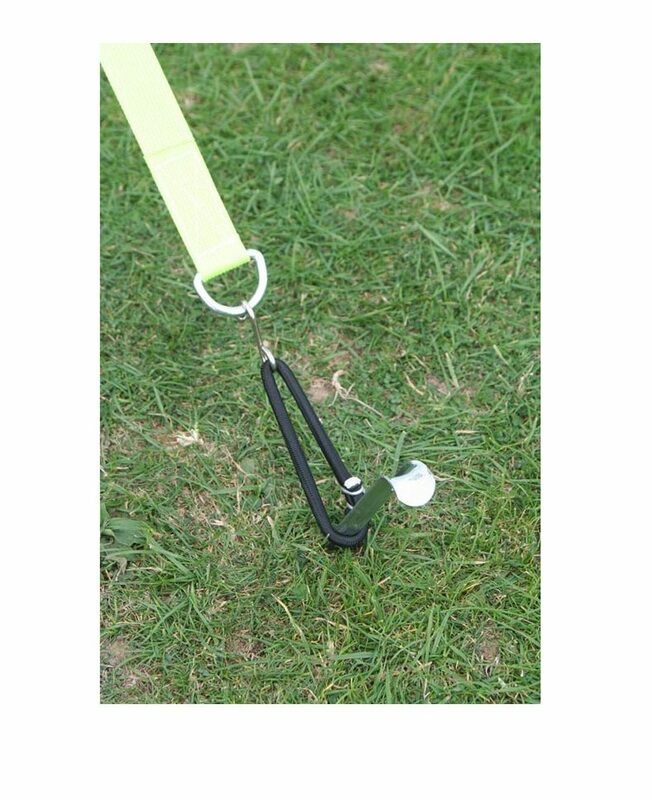 Please note that this calculator is for illustrative purposes only. 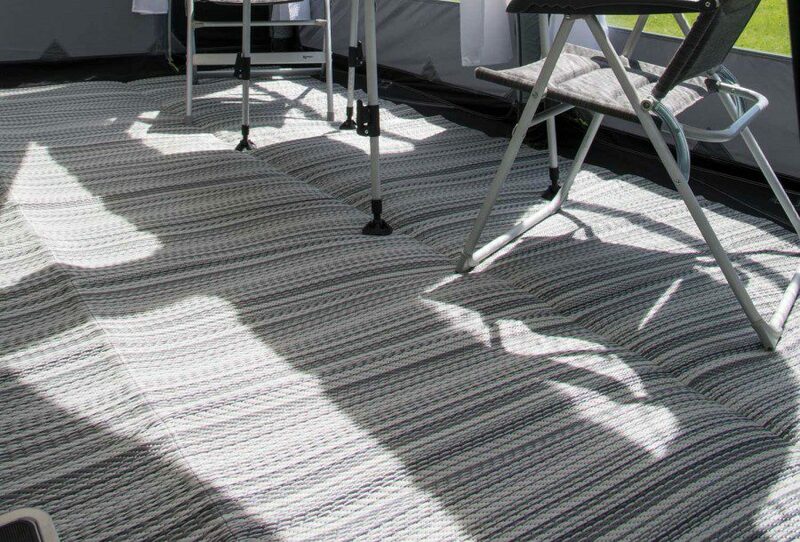 If you require a more accurate quote please get in touch. 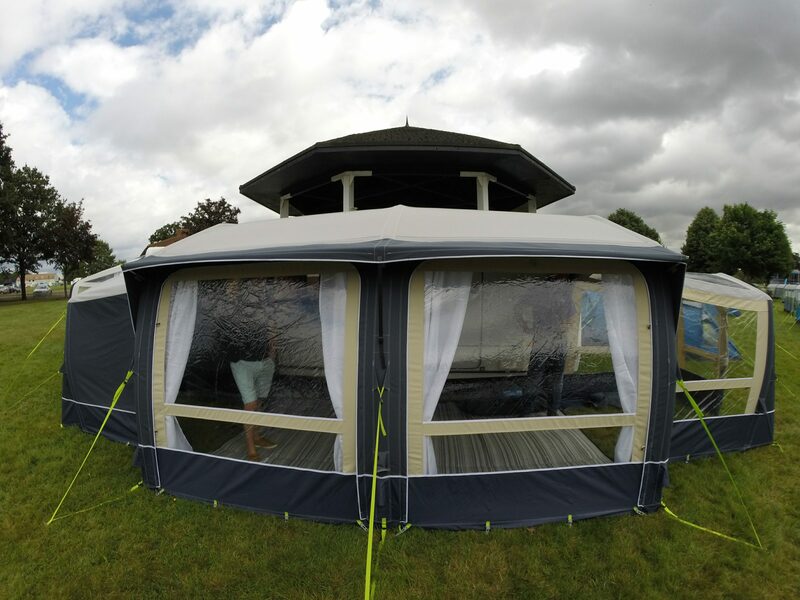 Credit is subject to status, UK residents aged 18+ only. 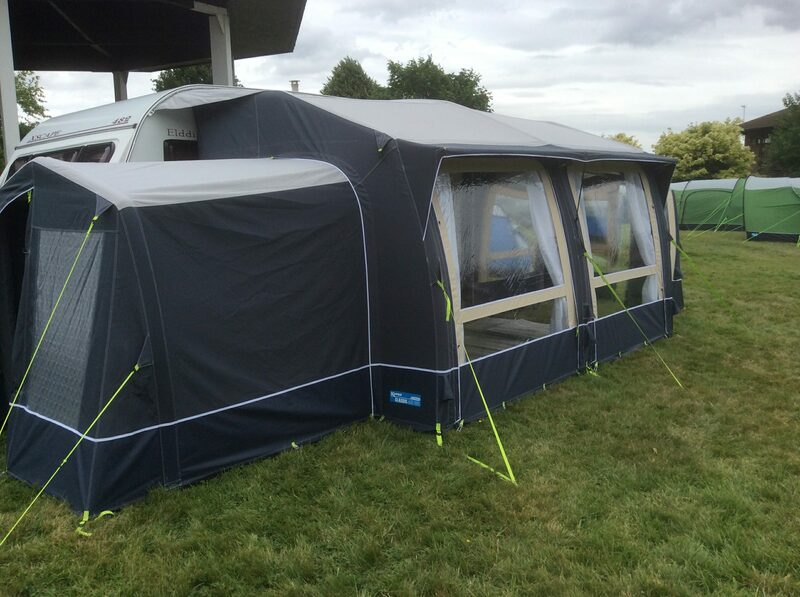 Finance available on orders over £500. 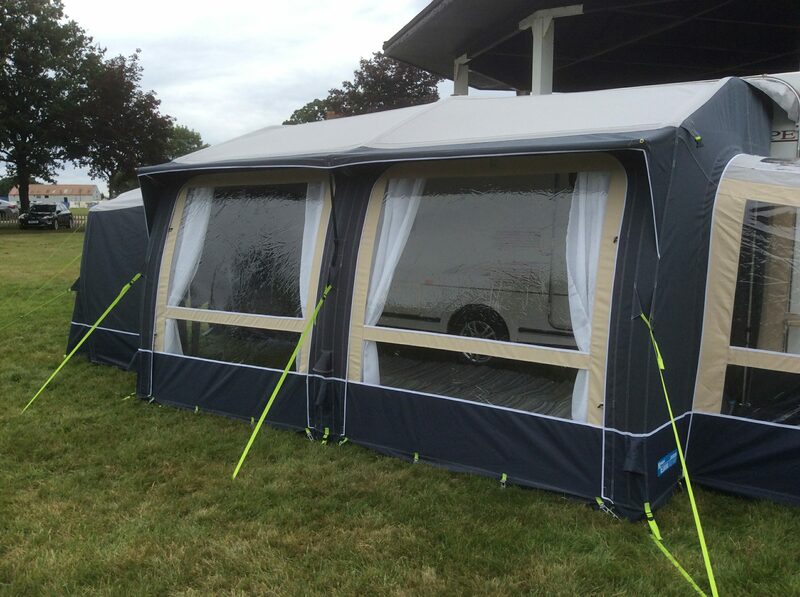 The inflatable awning that doesn't look like an awning. 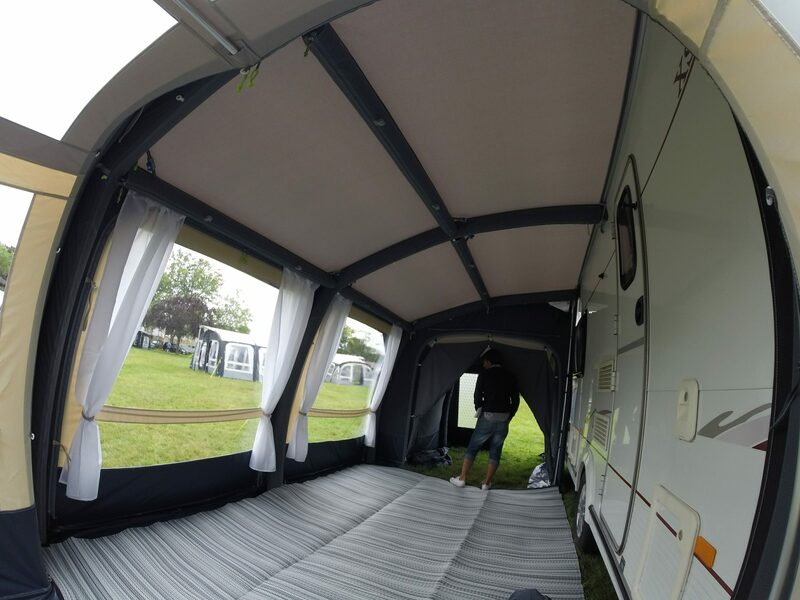 Don't be deceived by it's traditional good looks, this awning is inflated like any of our other Air awnings from just one inflation point. 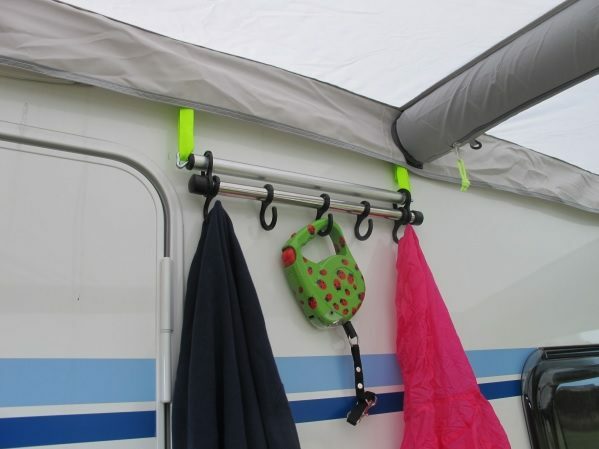 This makes it quick and easy to set up yet it could be mistaken for classic Scandinavian design. 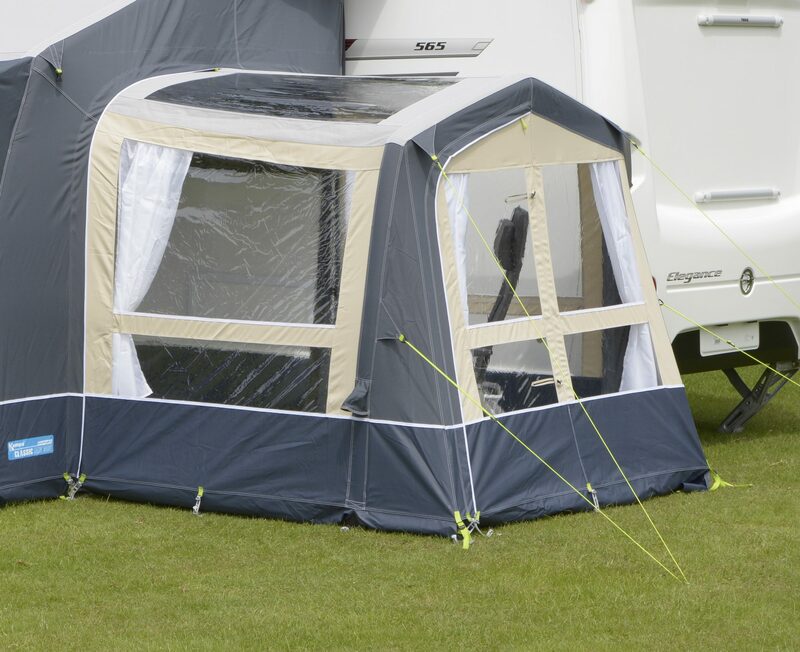 The Classic Air showcases our latest Expert Weathershield materials that offer superb protection but are also breathable. 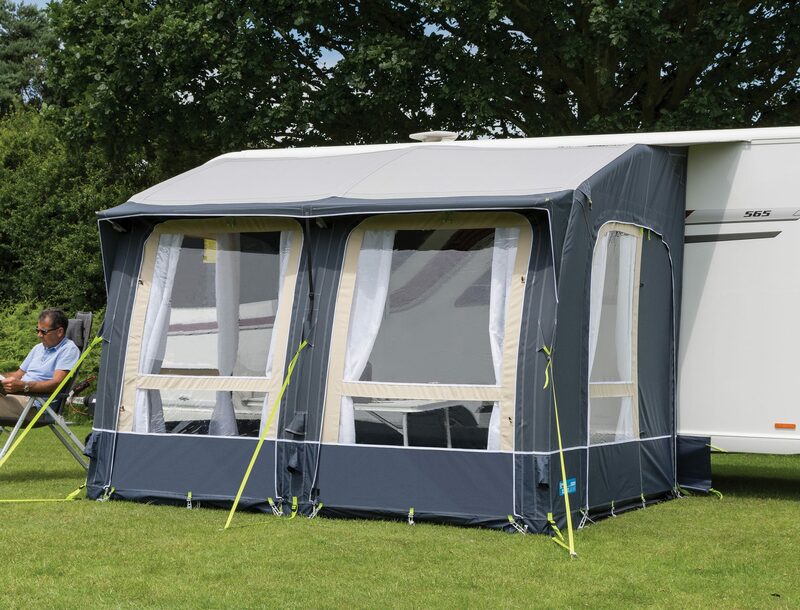 The front and side panels can be removed to make set up and easier and, if the side door is obstructed by the caravan step the side panels are interchangeable - you can swap them around so that the side doors are at the front of the awning. 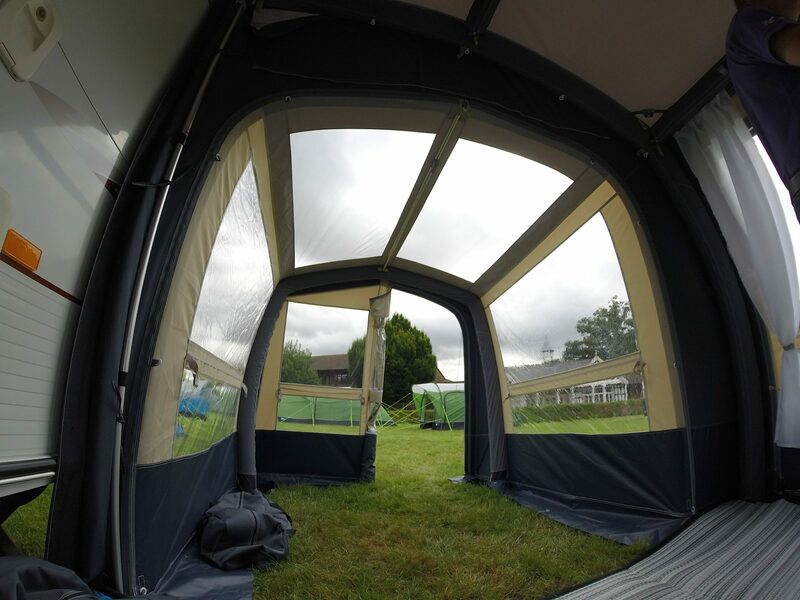 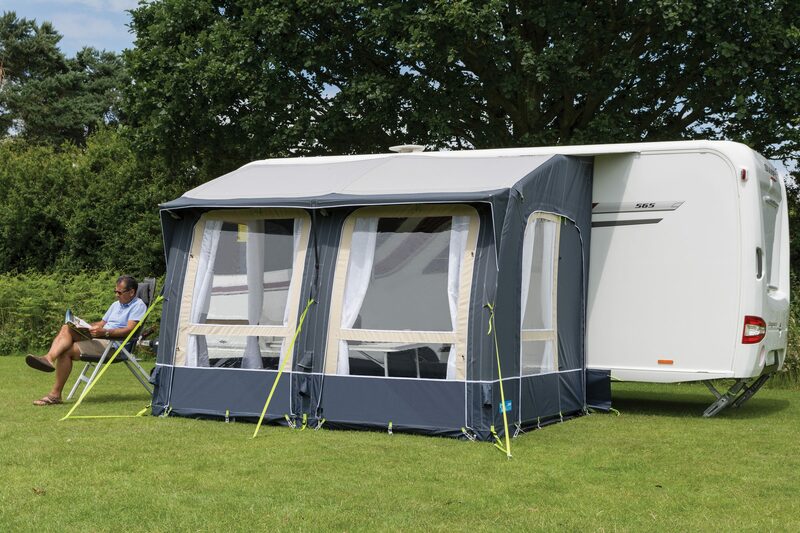 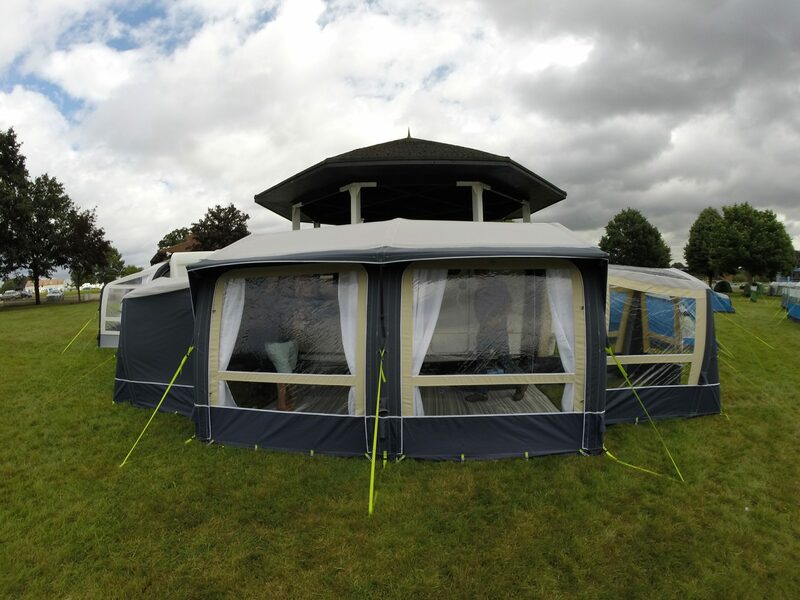 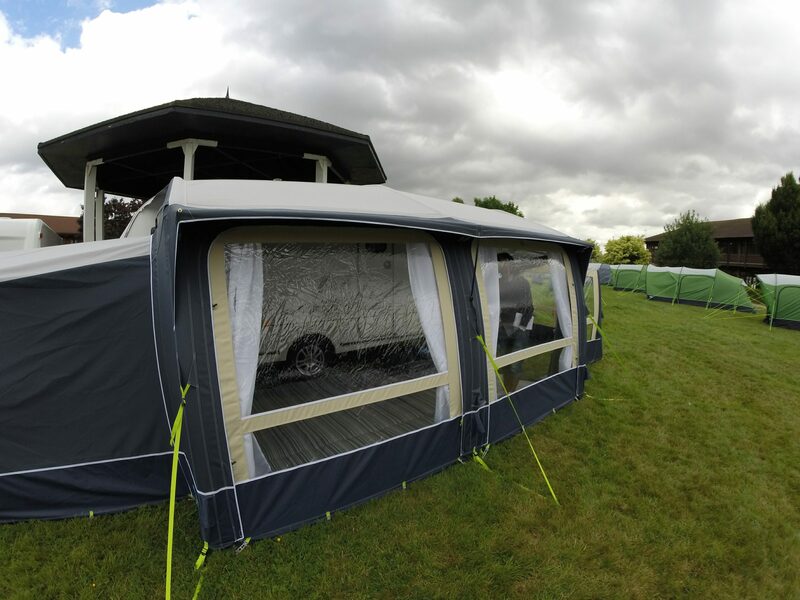 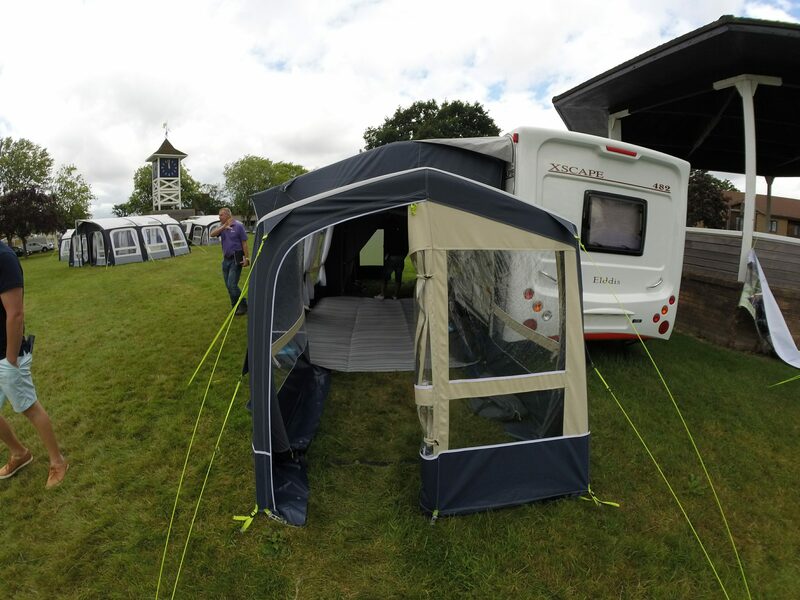 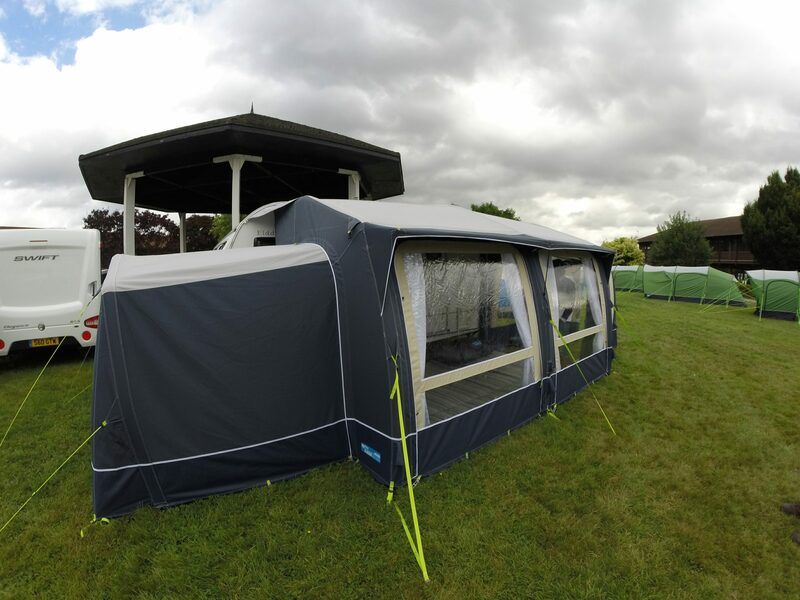 The awning can be customised to suit your needs with the usual Kampa options such as furniture, roof lining, organiser, tall annexe and our exciting Conservatory, an ideal place to settle down with a book on those days when it's warm enough to sit outside. 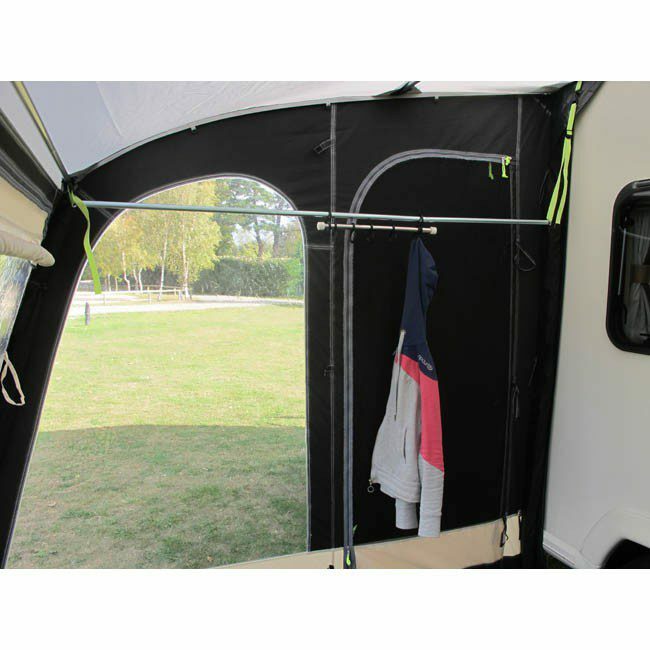 Kampa’s new design feature that ensures a minimum 1.83m/6ft of interior headroom in their awnings, whilst also deflecting wind and shedding rainwater to avoid puddling on the roof. 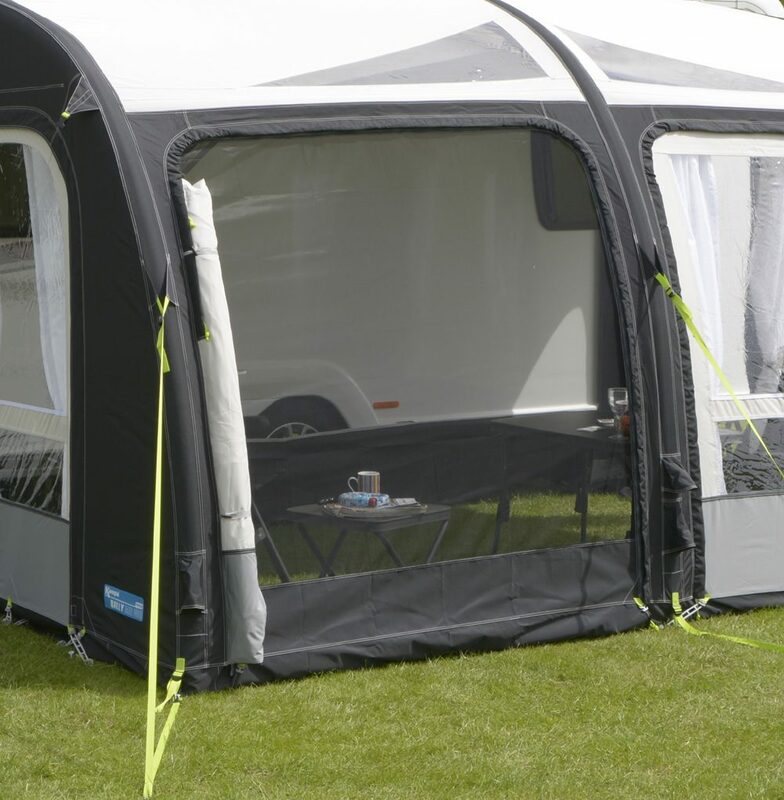 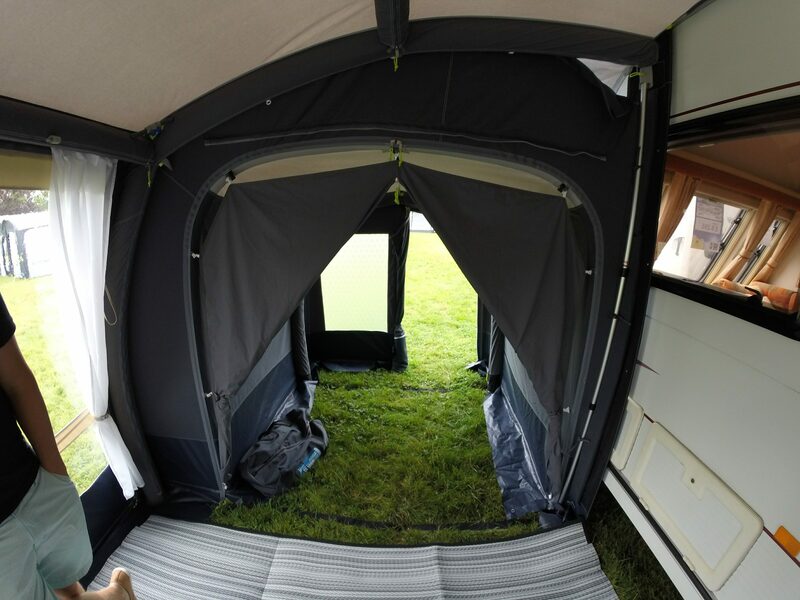 Since Kampa launched the first inflatable caravan awnings onto the market in 2013, their Kampa AIR system has led the way, allowing fast, easy set-up with their Single Point Inflation method. 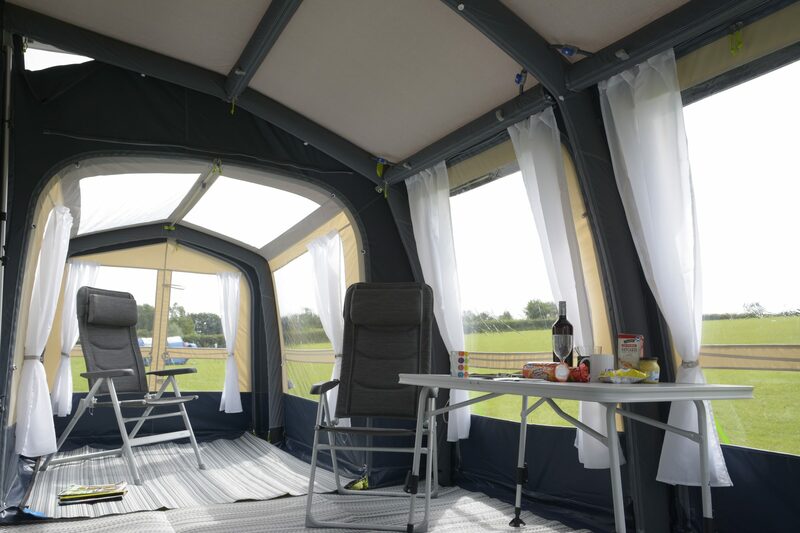 That’s just one external inflation valve to blow-up all of the supporting AirPoles and beams for the entire awning or tent – unlike having to inflate individual air-beams via separate inflation points as with other manufacturers’ systems. 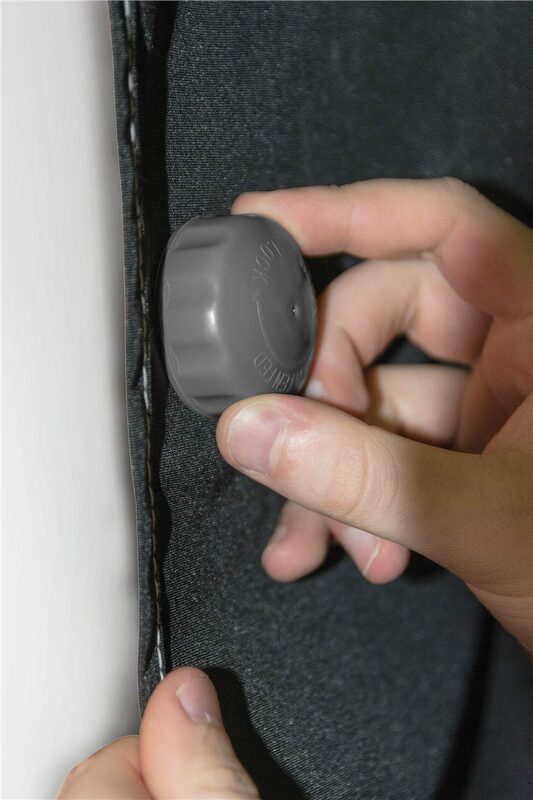 For pack-away, quick-release deflation valves make the job equally easy. 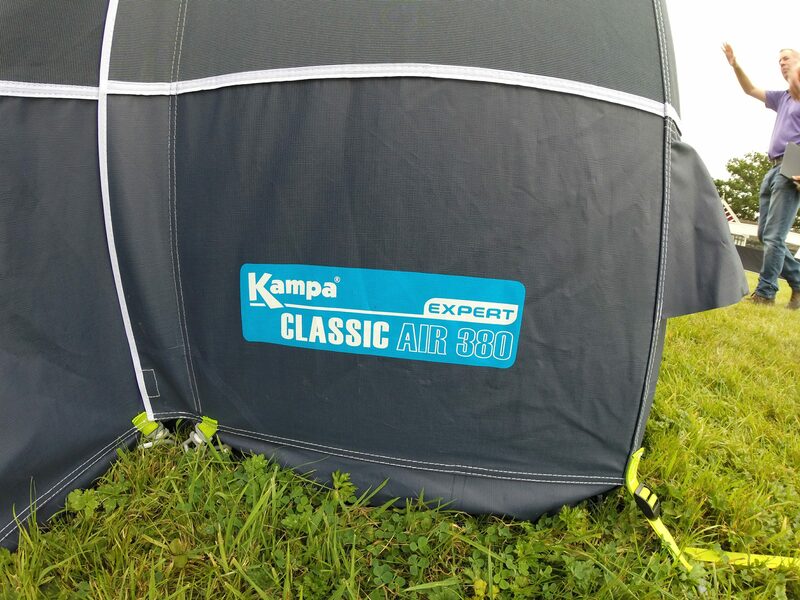 Kampa’s latest Expert materials are used on the Classic models. 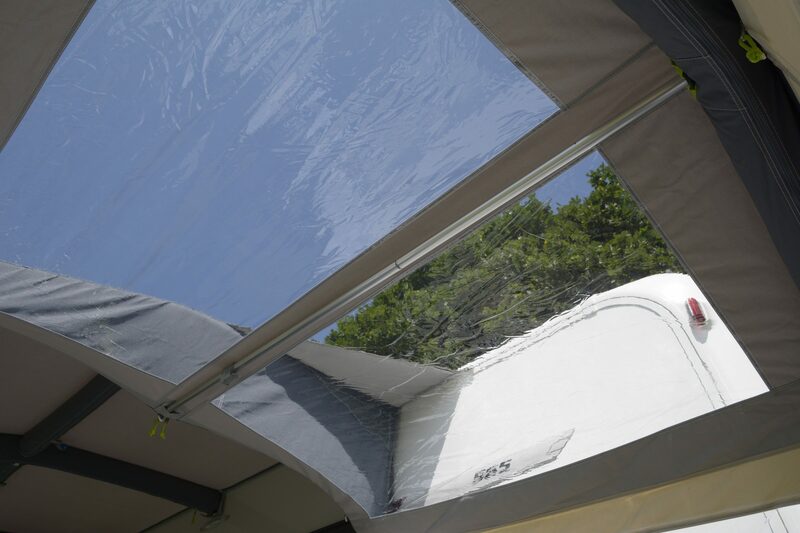 The roof and walls are breathable, ensuring a comfortable climate inside the awning with less risk of condensation. 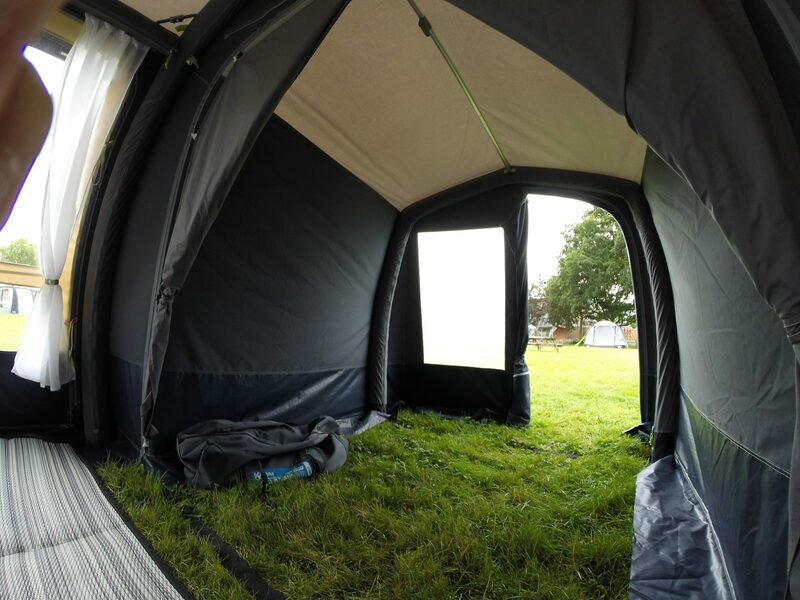 The walls also have a great textured feel and are extremely waterproof and durable. 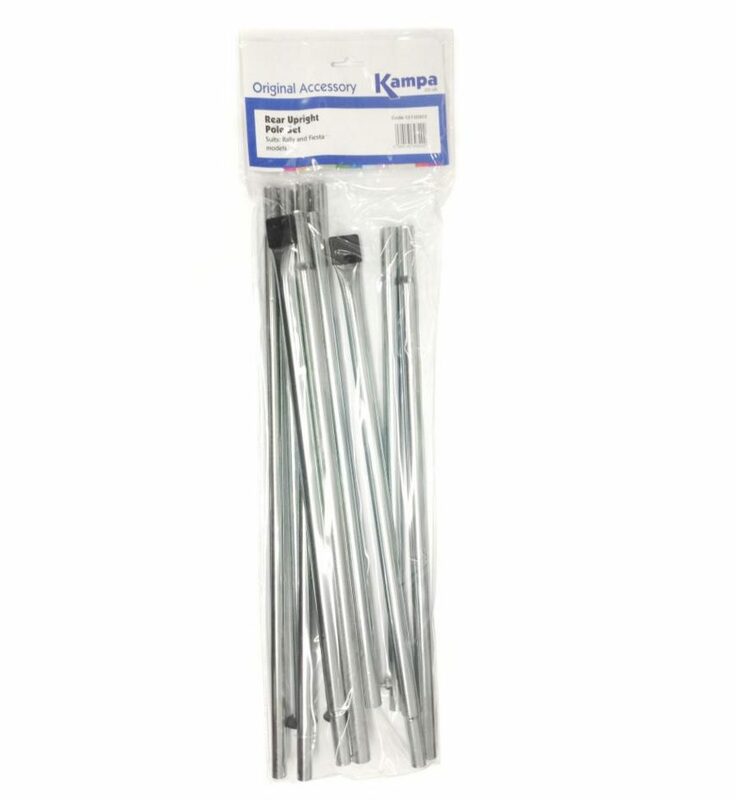 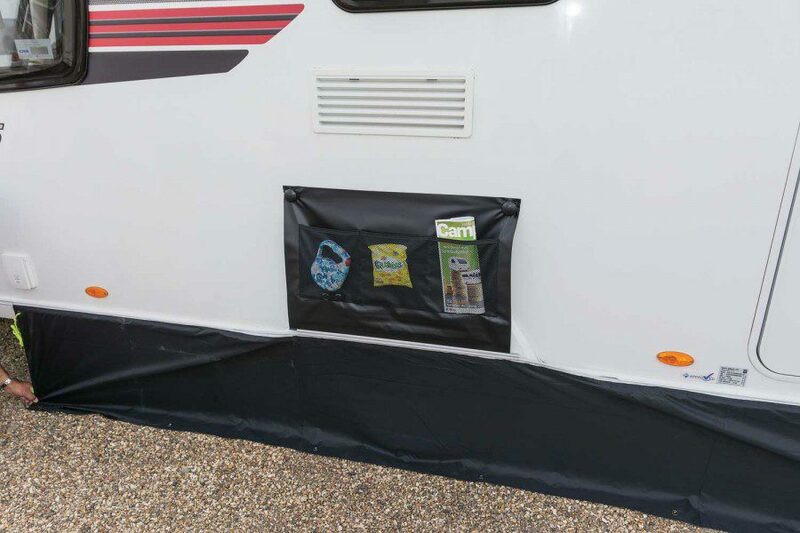 This product is compatible with Kampa’s optional Limpet Fix System which lets you attach the rear wall of your Kampa awning to the smooth outer wall of your caravan using innovative suction pads – ‘Limpets’ – fitted through pre-punched holes. 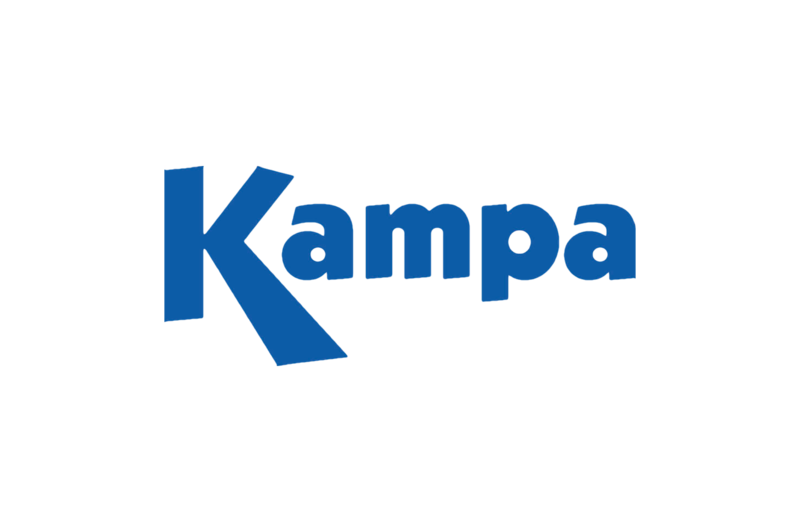 Means that this product is designed for attachment of Kampa’s optional SabreLink lighting system. 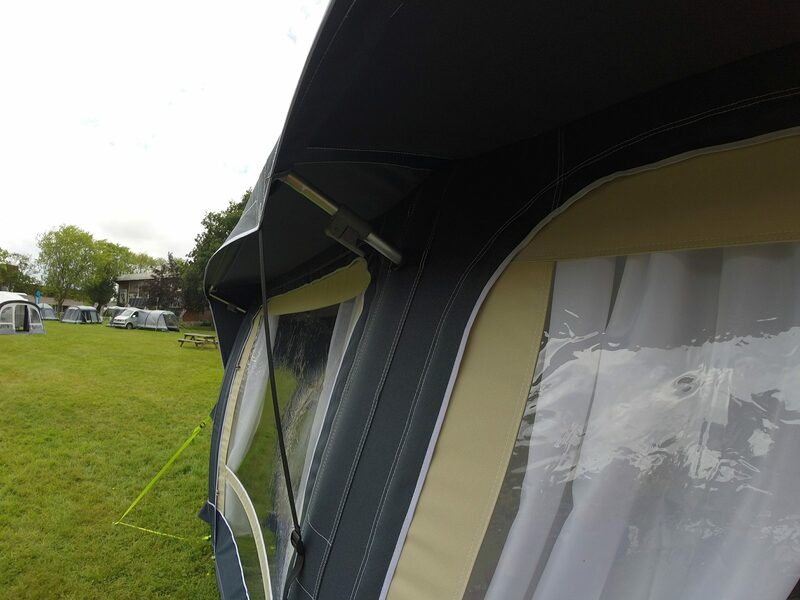 SabreLink lets you attach linkable 12V LED lighting strips, with 150 LEDs per strip, above the walls of your Air or Poled Kampa awning or tent. 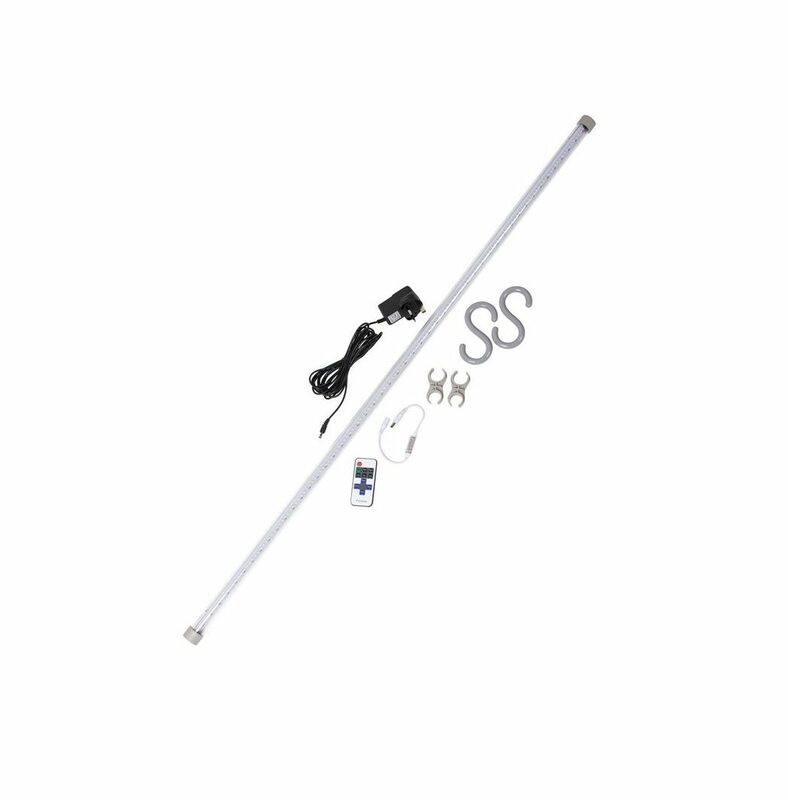 Up to 3 strips can be linked together, with each set adjustable via an on/off/dimmer remote control. 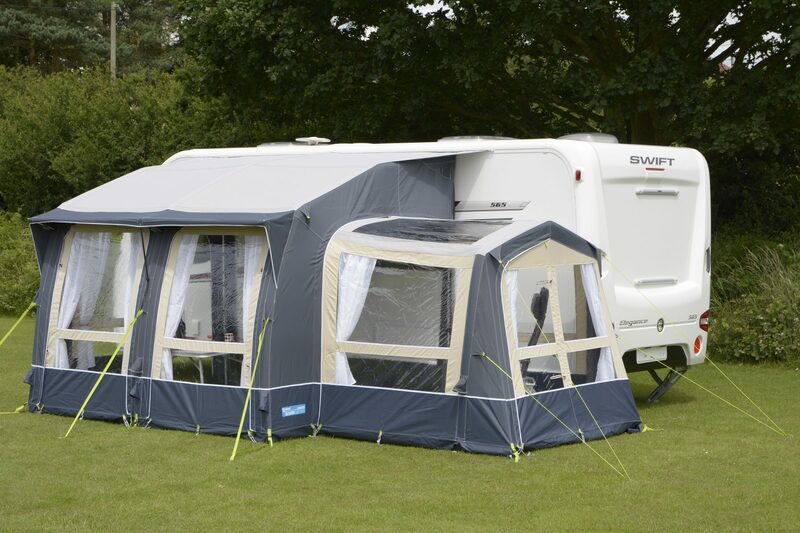 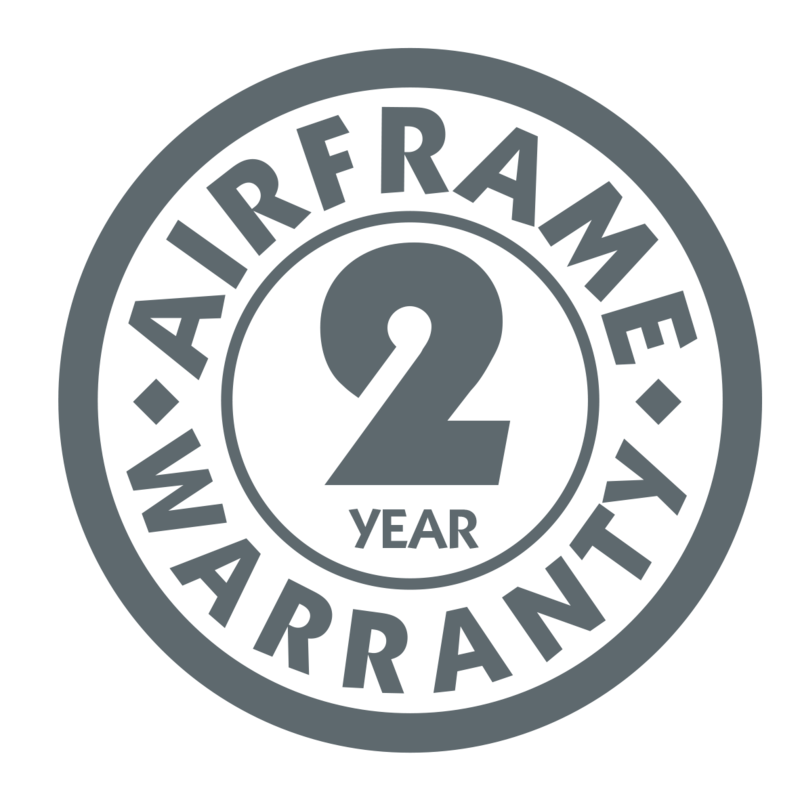 Kampa AirFrame awnings come with an extended 2-Year Warranty so that you can buy Kampa products with confidence.